This is a beautiful and highly functional accessory no candle lover should be without. 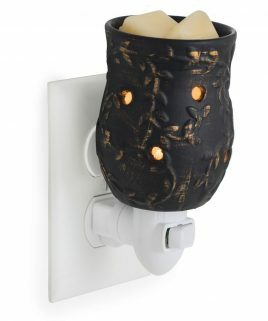 With a 4” hot plate, this warmer will accommodate most jar candles. 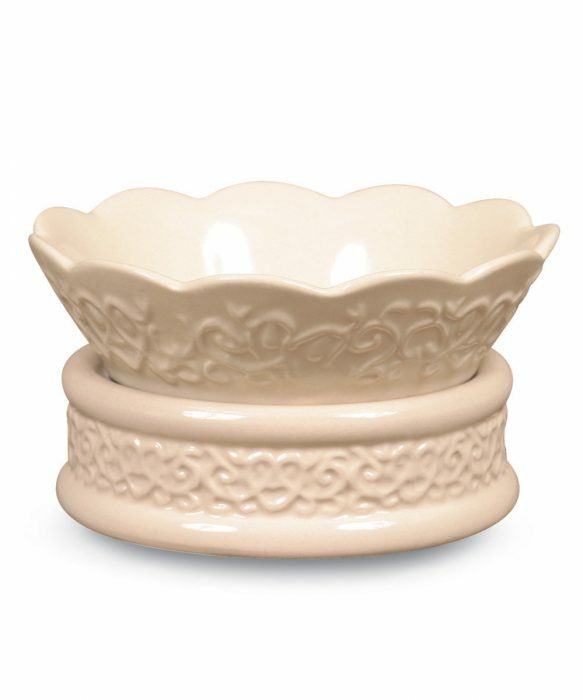 The tart dish can be used to melt wax tarts, cubes, tiles, and votives. The hot plate is 10 watts and 120 volts. The tart melter dish fits perfectly on the warmer plate to melt your tarts. 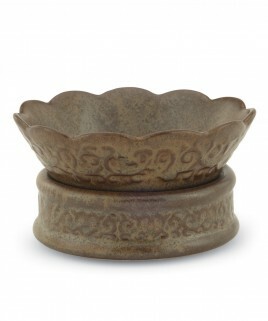 When using the candle warmer hot plate, the dish can be turned over to use as a base to place the warmer plate on top. These are packaged in a full-color, beautifully designed gift box. Does not include candle.